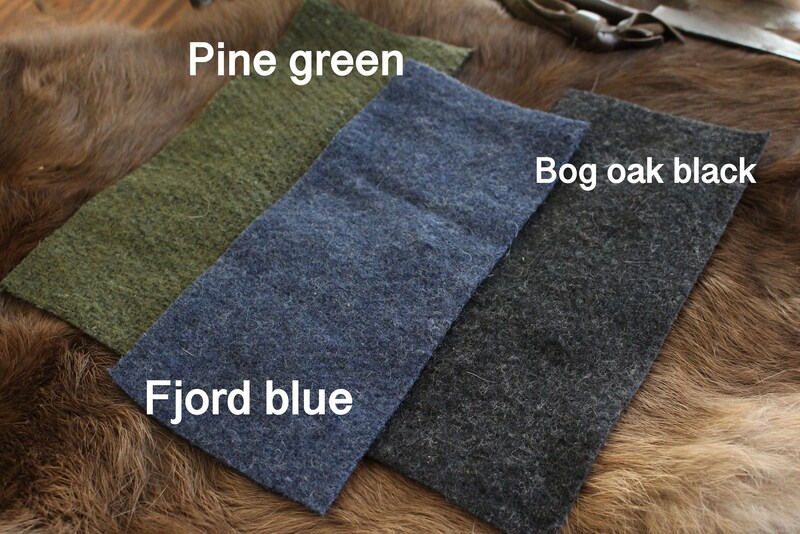 Viking Age Skjoldehamn hood in a variety of Colors. 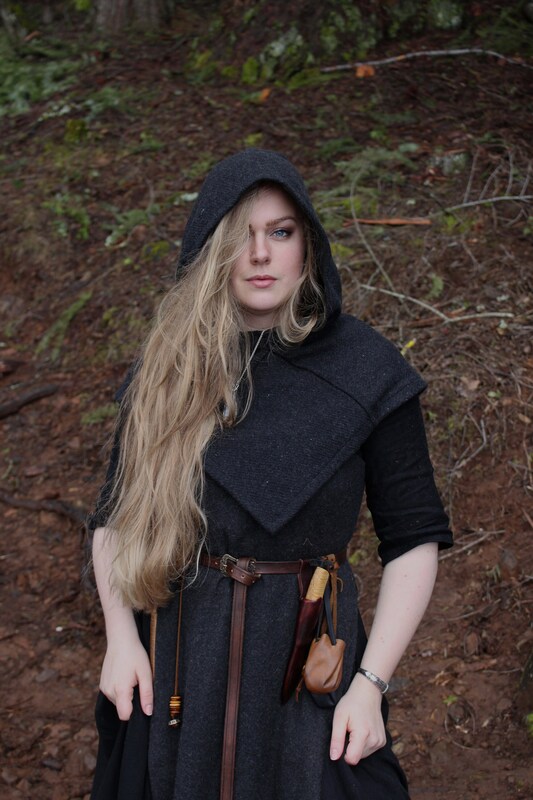 A great addition to every viking reenactors kit as well as any wardrobe for those who want to bring some viking flare into everyday wear with this practical piece can can be layered with most anything. Discovered in 1936 in a bog near Skjoldehamn (skjolde Harbour) in Andøya in northern Norway, On a Body including layered tunics, belt , trousers, leg wraps, sock, shoes and of course the famous hood. The find was initially thought to be much more recent , 18th or 19th century, but after having been studied and dated multiple times since has been determined through carbon-dating in 2009 to be from 1050-1090 AD, placing it securely in the Viking Age. 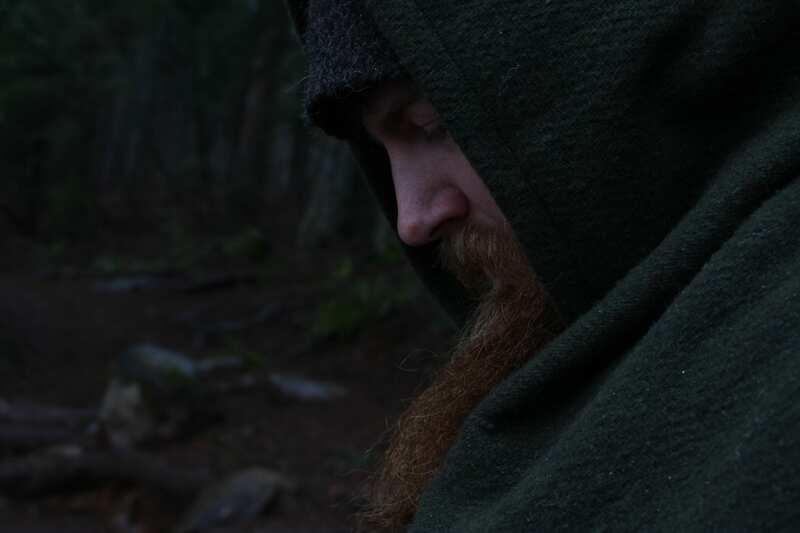 These Hoods will insure you stay dry, warm and comfortable thanks to viking age ingenuity, as we stayed as true to the original as possible, and the natural benefits of wool. It will surely meet all your needs through your reenactment journey. 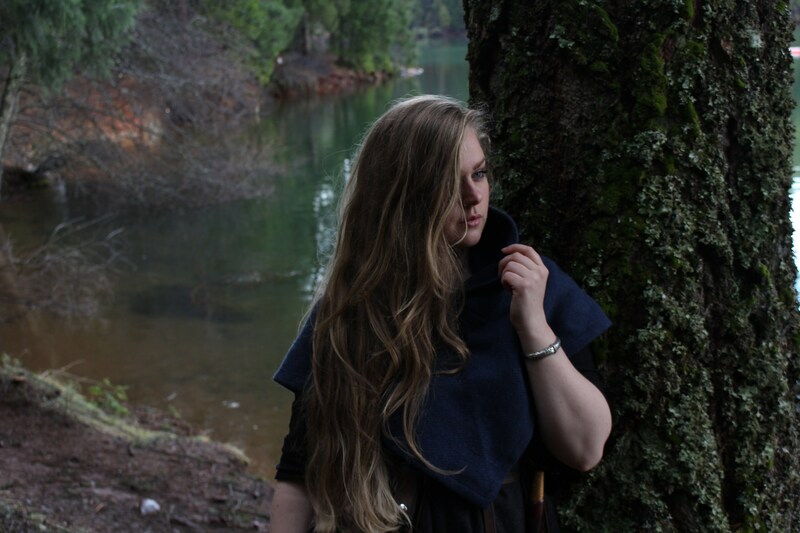 In our photos NorneWoven, her shoulders measuring 17 inches, in wearing a Medium blue and a Small Black and Green. Im wearing a medium Blue and Green, and my shoulders measure 22 inches, in the last two photos so you can get a better understanding of our sizes. In In Fljótsdæla saga ( a region in Iceland ) from the late viking age , Sveinungr Demanded a young boy at his farm to head out and gather in the sheep. 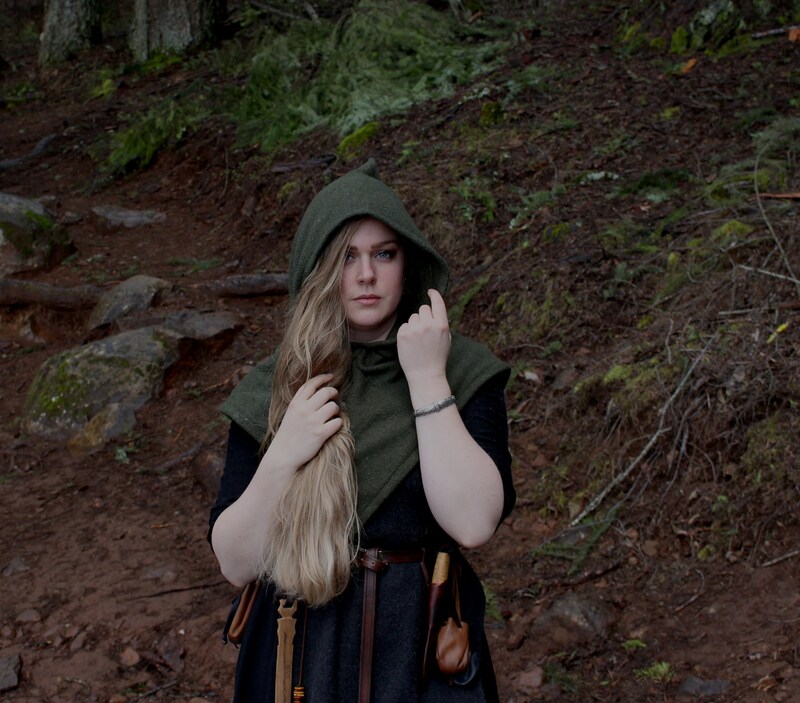 The boy insisted on bringing his hood and gloves before leaving, but Sveinungr shamed him into leaving immediately. 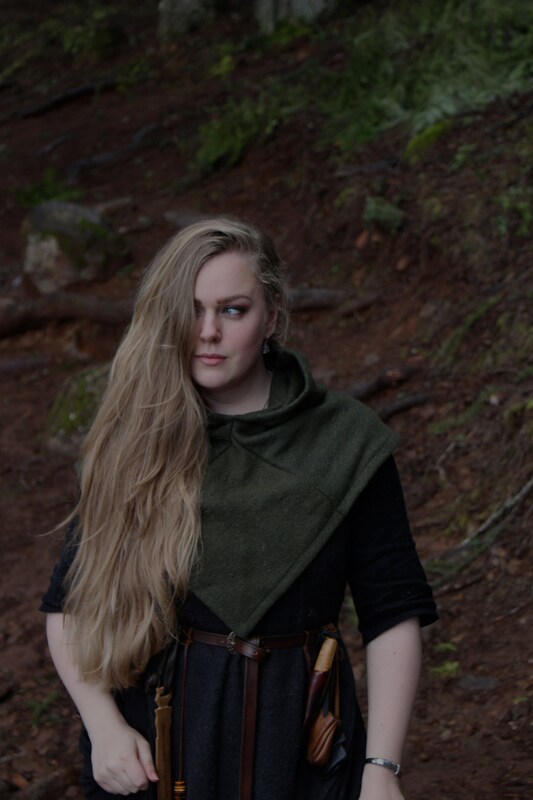 Sveinungr wanted the boy to be spotted and mistaken for Gunnarr, a man who was being pursued and who had been taken into Sveinung's protection. These Hoods are pre-washed 70% wool and can be washed gently on wool cycle with wool detergent and hang-dried to insure longevity or dry-cleaned when necessary. 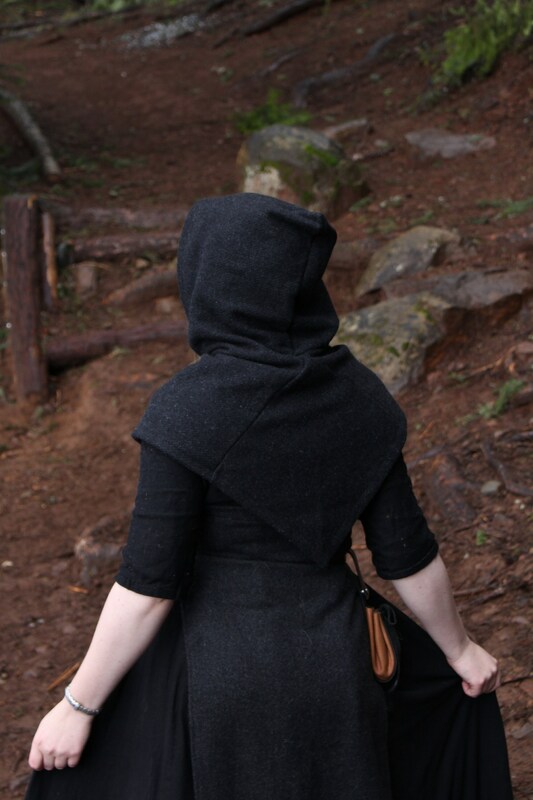 All of the garb offered here is the result of a Collaboration with Nornewoven, that we have worked toward for years. 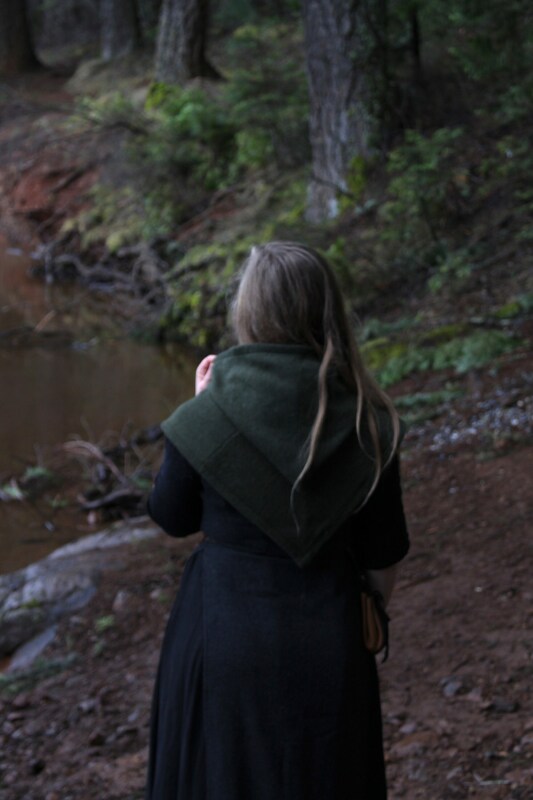 We've searched long and hard to find beautiful fabric that we ended up importing form Sweden. 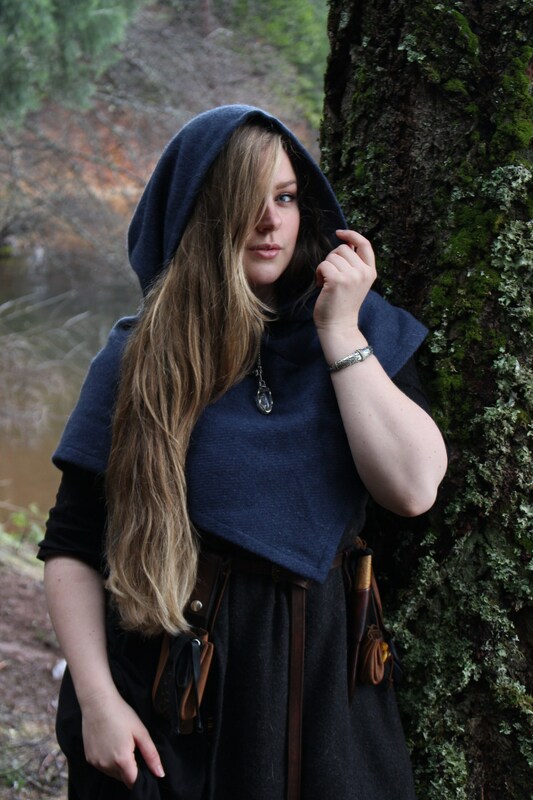 We've tirelessly studied historical finds as well as embroideries, jewelry pieces, stone carvings , sagas and more to ensure we offer garb that is as close to what the people of the viking age wore as we possibly can. After carefully cutting them to size we professionally serge all raw edge to insure they will never come apart before top stitching, all with a color coordinated and discreet high quality sewing thread. 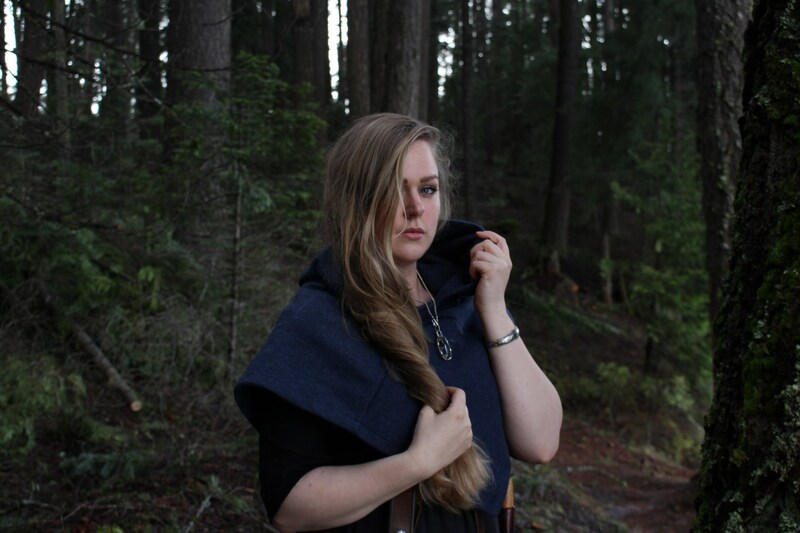 Every aspect of these pieces are a result of deep respect of the old ways, passion for crafting and history and our desire to live lives in balance with all the teachings the norse paganism offer. Beyond that we wish to share all of knowledge that we gather with others, to strengthen our community, honoring the gods and insuring that these teaching will continue dig their roots deeper into the ground and for the branches to grow and stretch until we are all as solid as the mighty Yggdrasil.